The automotive industry may be reeling from the market’s widespread shift towards SUVs and crossovers, which has seen carmakers like Ford and General Motors abandoning regular passenger cars entirely. But there may be light at the end of the tunnel, as a study by insurance comparison site QuoteWizard suggests that millennials in the United States are bucking the trend and buying more sedans. Based on the portal’s insurance quote data for users aged between 22 and 37, the top ten cars being driven by younger buyers is dominated by vanilla four-doors, the list being topped by the Honda Accord. The next five cars are also sedans – the Nissan Altima, Honda Civic, Toyota Camry, Hyundai Sonata and Chevrolet Impala occupy the top six slots, with the top non-sedan offering, the Ford F-150, only seventh on the list. Rounding off this group are the Toyota Corolla, Ford Focus and the only SUV in this group, the Jeep Grand Cherokee. But if you’re thinking that millennials are flocking back to sedans because they want to, think again – QuoteWizard says that they are only buying these cars because they are cheaper than SUVs or trucks, with the average starting price of the cars on the list amounting to only US$23,829 (RM97,000). The site says that while those in this age group are earning more than ever before – an average of $69,000 (RM281,000) a year, says US fact tank Pew Research, they still earn less than their Gen X and baby boomer peers and carry an average of $36,000 (RM147,000) in debt. But even that doesn’t tell the full story. You see, millennials are also moving closer to cities, giving them more options to travel to work, such as public transport, ride-sharing and electric bicycles or scooters. This makes them less reliant on personal cars, so they spend less on buying them in the first place. So there you have it: millennials are buying more sedans, but not for the reasons you might think. What do you think – do you agree with this conclusion? Sound off in the comments after the jump. Afterall used Porsche SUVs are selling quite cheap in the used market currently. Better we look at other brands SUV which are much more beautifully design and suitable for daily usage that serve the purpose with more relax drive and comfort. Yupe. We are aiming the next BMW 1Siri sedan. Sedan is the most perfect sense. SUV is only good for family with kids or long distance. Compact car or hatchback fits for city driving. But if you want daily driving with occasional long distance that stable at corner, and your budget is only for 1 car, then sedan is your only choice. If you have budget for 2 cars – then get an SUV for family and fast hatchback for daily commute. No brainer. 20,000 millenials have made a different choice. 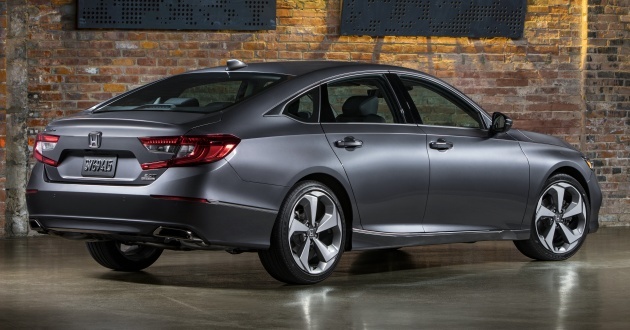 I see there is not much future in Sedan as compare to Hatchbacks, Fastbacks ,SUVs and perhaps the station wagons. Well when you are single and available it’s NOT COOL to be seen driving a soccer mom’s SUV. I’m millennial and I hate SUV too! The study result would meant for the US, whilst in M’sia a trustworthy Myvi and Saga would be the choice for an average earning Milennials. 1) the professionals/ technicals – starting basic salary of more than 5k p/mth, n they normally will buy a japanese n soon will afford a european ckd in another 10 years. 2) the salary man – starting basic salary of 2.5k, will struggle their 20 years to get a salary of 10k, n will normally starts with a national car n ends with a japanese high end cars. 3) the biz or hard working earners – may start their first earnings of 500 p/mnth right up to 500k depending on their biznes or labor working salaries, may still drives a myvi but build mansions somewhere or owned a few properties or earnestly paid for house rentals n drive a bike. The above is a correct study of M’sian Millenials according to my perspective. Inb4 the best selling top 3 models are still trucks and SUVs. Orz! same la here in Malaysia youngsters driving Bezza Saga Persona Vios City Cerato Elantra those cheaper and affordable sedans where got you see young people driving Aruz or X70??? At the age of 25, I also prefer to buy a sedan instead of SUV. Lived at city or suburb, dealing with traffic congestion, lack of parking space, pricier of fuel not so ideal to use big cars like SUV. I’m also better with MPV than SUV. Just maybe oldie in a younger body. SUV is good for style, which I’m not. Haha! Chris Harris would be delighted by this news. But perplexed that the article skipped gen X. I’m thinking the reason why millenials are not buying SUVs is because they don’t have many kids? So no need for all that space. And to save money on fuel. So they can spend more on gadgets and lifestyle. Those born after Y2K probably don’t even want to buy any vehicle. Just take Uber/Grab or lease. Life is about consumption not ownership. The article did lump Gen X and baby boomers together, which I left out (and added back in). Sedan and hatchback still make more sense in urban cities, save fuel for the environment and easier to park as parking lot in Klang valley is getting extremely small these days… You can see a lot of idiot SUV drivers don’t know how to park their car properly.. Most of the time I see only 1 person driving a big 1.5 tonne SUV with no passengers.. what a waste of metal and fuel.. Many people still prefer saloon cars. Your garage is not complete without huge saloon. Car makers may consider an entry sedan and a large saloon, for example Polo and Passat, Vios and Camry. Main focus should still be SUVs. Is 140mm the best ground clearance for saloon, or should it be 160mm? Or higher? They have forgotten to add that the 4 door vanilla sedans cost a lot less to insure. And they are cheaper to run. This USA report is just a propaganda report to get Millenial to buy more sedan instead of compact SUV since most sedan sales in USA is free falling like Yo Yo. Most probably Toyota Chairman Akio Toyoda paid and organise for this type of propaganda and phycological report to boast Toyota sedan ailing sales in USA especially the camry and corolla. One thing for sure demand for SUVs and trucks are currently greater compare to sedan . In most European countries , Millennial prefer buying Hatchbacks and compact SUVs more than any Sedan. Even a five years old kids like riding in a SUV more than any sedans meaning SUVs and Hatch back sell more than any sedans as each year passes by. Toyota does have a full range of SUVs over in the US, so I highly doubt it’s the culprit. This report cannot be trusted!! This is in the US..what it has got to do with us? Wages are different..cars are different. Landscape is different. Population and buying power is different. I’m turning 32 this year and i think sedan car a right car for me right now. With 2 kids, and sometimes need time fun with my car eg; drive fast, track day and so on. My next car would be SUV if my children 3 or less, or MPV should they are more. Unless you have the luxury to have personal car and can affort another family, thats another story. Honda civic and Honda accord is in the list. that’s how high demand honda cars are in reality. The survey finding is not unexpected. I used to drive a sedan (Camry) for many years before switching to a SUV (CRV) 5 years ago. And I can tell you this…my next car will be a sedan. I don’t think it is accurate by looking at the current market. It is really depends on the consumer needs. SUV is a practical car while the maintenance of it will be more comparing to a sedan. e.g. tyres, oil changes if it is a 4wd, road tax, insurance etc. While a sedan is not practical for a larger family but generally good for a family with 2 kids. Once Malaysian prefer Sedan until Myvi come in and break the hatchback market. SUV and MPV is popular for larger family. How much is the cheapest sedan in Malaysia ? And how much is the cheapest SUV in Malaysia ? U got the answer why millenials bought more sedan than SUV. What a dumbass question …. Previous Post: SPYSHOT: Nissan sedang uji Almera generasi baharu?